It's not news, but sometimes we need a gentle reminder to stop and think about where our clothes are coming from. One retailer we lean on for stylish (and reasonably priced) duds that is also environmentally friendly? You guessed it, Reformation. 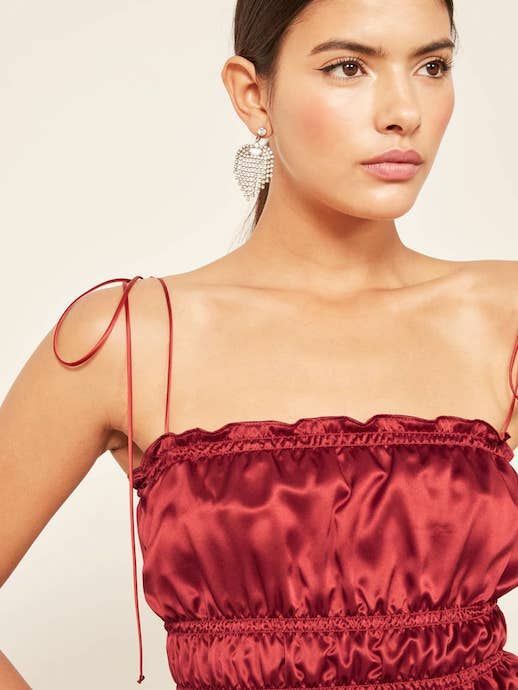 And lucky for us, they just dropped a new round of sultry silk pieces all ringing in between $98 and $300––perfect for Valentine's Day and beyond. Shop the sustainable round up, below!